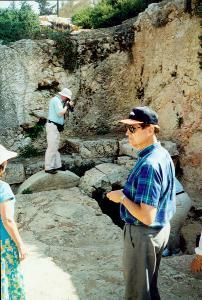 You may also like to read Edward’s recollections of the church of the probably site of the tomb of Jesus. 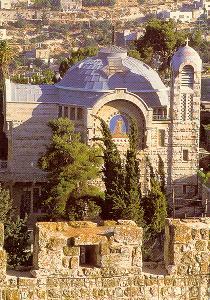 JERUSALEM and the Tomb of Jesus. 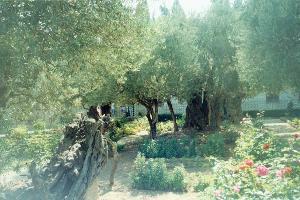 This is the GARDEN OF GETHSEMANE. 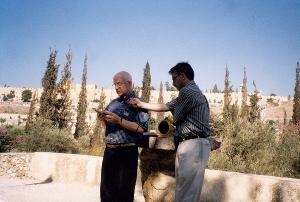 Edward reading the account of Jesus suffering there. 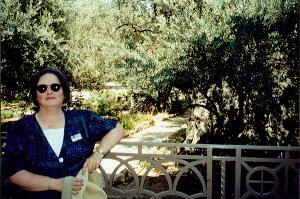 Sara Faye in the Garden of Gethsemane. 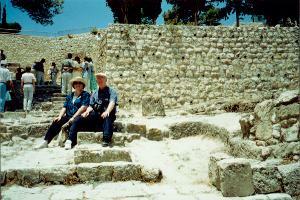 After driving across the Kidron Valley to Mt. 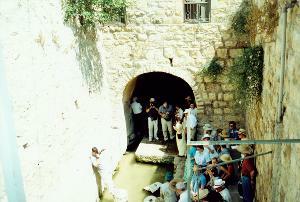 Ophel, the city of Jerusalem in David’s time, we see the Pool of Siloam where Jesus healed the blind man. 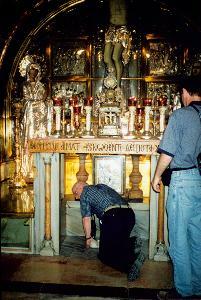 Nearby we visit the St. Peter in Gallicantu Church. 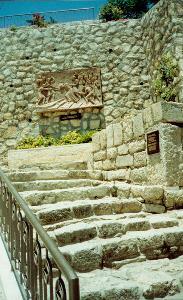 There we walk on stone steps which Jesus may have walked the night of His arrest. 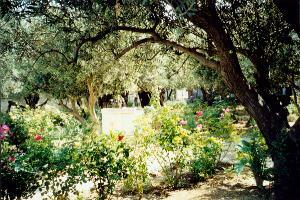 Next we visit the Garden Tomb, a favorite place to remember Jesus’ burial and resurrection. 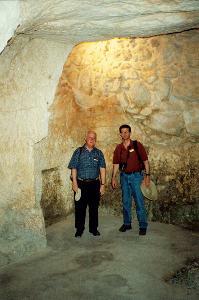 And we see Herod’s family tomb, a first century tomb with a rolling stone. 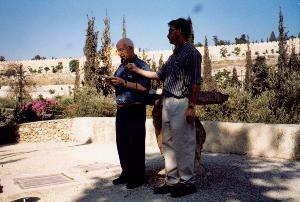 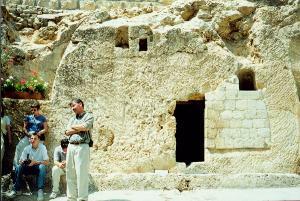 Notice how the stone is in the ground (man is standing on it in background) and rolls right to cover the entrance to the tomb. 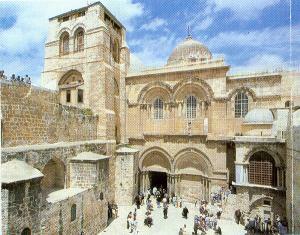 Then we visit the Church of the Holy Sepulchre, the probable site of the tomb of Jesus. 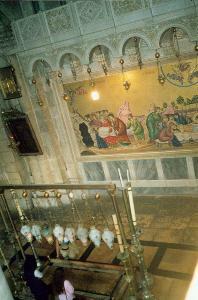 Inside the Church, Edward kneels at the hole in the rock at the place where the Cross of Christ is thought to have stood. 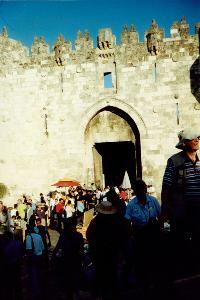 The Via Dolorosa or “Way of Sorrow” is the traditional route Jesus followed bearing His cross.